Kaged Muscle Pre-Kaged: Kris Gethin's Monster Pre Workout! 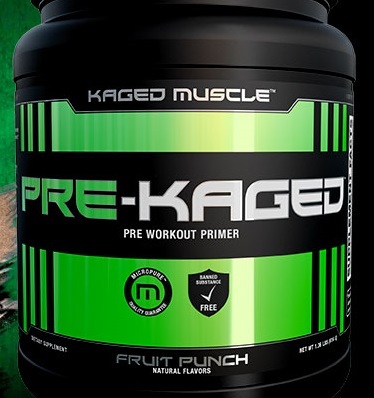 Pre-Kaged is the much anticipated pre workout from Kris Gethin and Kaged Muscle. Will it live up to expectations? 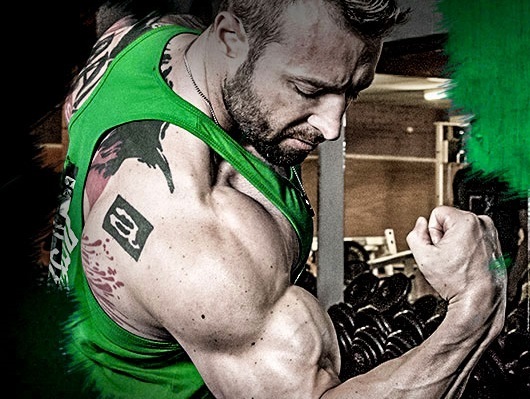 Fitness buffs and gym junkies alike know the name Kris Gethin. When he debuted his supplement line, Kaged Muscle, it was met with rave reviews. Initially the brand was just releasing high quality bulk supplements that you could add to your existing selection of pre, intra, and post workouts. With Pre-Kaged, KG has answered the prayers of his fans and finally released a pre workout that will cover all of your workout needs from focus to power to pumps to energy. There’s a reason why this is rated one of the best pre workout supplements (especially of those without DMAA)!! The new Krisp Apple flavor is fantastic! Pre-Kaged is serious about providing you with any and all raw materials your body will need to dominate whatever your workout maybe. Weighing in with a hefty 32g per single scoop, KG left no stone unturned in what you would need to be primed and ready to tackle your weight training session. Let’s get right to what this beast has! Pre-Kaged packs a hefty 32g dose of ingredients in each scoop. This provides all the pre workout power you will need for 20 grueling gym sessions. Take a look at the dosage one more time. That’s not 6.5g of citrulline malate, that’s 6.5g of pure L-Citrulline! This is a HUGE dose! Normally, we like to see 6-8g of the citrulline malate, as this supplies anywhere from 3-4g of citrulline. Here, you get double that amount, which is one of the biggest amounts we’ve ever seen in a pre workout. This should lead to some rather intense pumps during your workout and will probably have your veins popping through your skin. Just be wary though, as high doses of Citrulline have been known to cause GI upset in some users. Quercetin is one of the most researched bioflavonoids around, and the dihydrate form is the most bioavailable as well among the different forms administered. 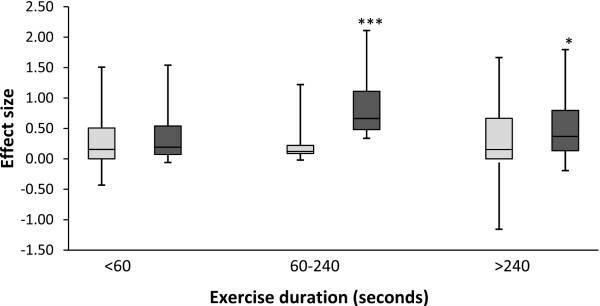 It’s been found to increase endurance by means of increasing production of mitochondrial biogenesis in muscle cells. Additionally, it also works synergistically with other ingredient, like caffeine, to increase their effectiveness and heighten the body’s utilization of those ingredients. Pre-Kaged uses the research-backed ratio of 2:1:1, which means in each serving, you get 1,750mg of leucine, 875mg of isoleucine, and 875mg of valine. As if 3.5g of total BCAAs wasn’t enough to stoke your anabolic fire, Pre-Kaged includes 3g of L-Leucine to further stimulate muscle protein synthesis. L-Leucine is the “golden boy of the BCAAs” – it’s the anabolic activator that kick starts the mTOR (or Mammalian Target of Rapamycin) signaling process which plays a significant role in muscle-building. However, since Pre-Kaged seems to be a supplement for those wanting to build muscle and bulk up, protein intake should already be high, which might not necessitate the inclusion of extra leucine. But either way, we’re a fan of Leucine and won’t bash a product for including some lagniappe. We’re just curious if it would have been better to save money and get a full dose of creatine or beta alanine instead? 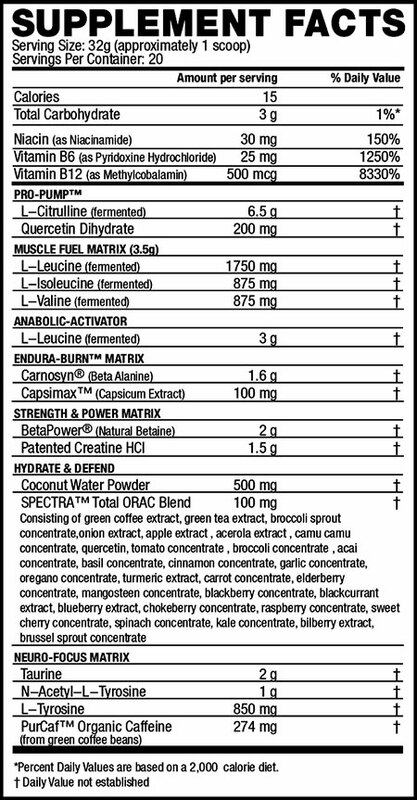 And why in the hell not just put 4.75g of leucine on the label? Seems odd, but hey, we’ll take it. 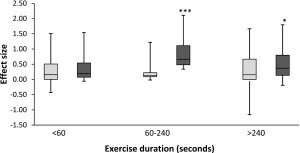 Beta Alanine Boosts Exercise Performance… but the best studies use at least 3.2g spread across the day, meaning you may need to add some bulk BA to Pre-Kaged. Research shows that to get the maximum benefit from BA supplementation, you want to get 3.2g worth, so to get your daily quota, you may want to top this off with some bulk BA. Capsimax® is an extract from cayenne peppers and is also a potent fat oxidizer. If you love spicy foods, you know that capsaicin is the ingredient which makes your tongue burn and forehead sweat. The purpose for including it in a pre workout is that it burns stored fat and boost your overall energy expenditure. On its own, betaine has demonstrated the capability to improve hydration, power, strength, and endurance. [16,17,18] This leads to all around better workouts which ultimately translates into more muscle! Creatine HCl is perhaps the most popular alternative form of creatine. This is due to its enhanced absorption and bioavailability over monohydrate. Due to this, it’s been suggested that you don’t need the same amount as monohydrate to see the same benefits. Additionally, many people love this form as it doesn’t lead to bloating or GI distress that so many experience when using monohydrate. However, no research exists to substantiate any of these claims, which most would expect to see by now. Now, some preliminary findings suggest that these two ingredients MIGHT overlap, thereby indicating that you don’t need the full 2.5g of Betaine and 3-5g of Creatine to maintain saturation. However, there isn’t much science available as opposed to getting at least 3g of creatine. So to be on the safe side, you may want to add another 2-4g of creatine to maintain saturation levels. Coconut Water powder is gaining notoriety in pre and intra workouts for its hydration and electrolyte-replenishing effects. 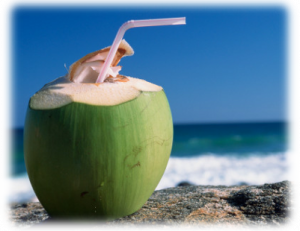 Coconut water is beginning to show up more and more in pre and intra workout supplement. This is due to its high electrolyte content that will helps ensure proper hydration levels. Lots of electrolytes are lost during intense workout which can can lead to muscle cramping and the muscle failing to fully contract. Ensuring your hydration and electrolyte levels is of the utmost importance if you’re looking to really push the envelope every time you step in the weight room. SPECTRA™ is a blend of powdered nutrients aimed to support the body’s immune and antioxidant defense systems. Any time we exercise, we break down muscle fibers and trigger the release of free radicals in the body. Antioxidants counter the effects of oxidative stress on the body induced by exercise. Another popular supplement that’s had a nice ORAC blend is Marc Lobliner’s MTS Drop Factor, which ranks well in our Top 10 Fat Burners list. While this may sound like a good thing, recent research has shown that consuming high potency antioxidants like Vitamins E and C can actually have a negative effect on hypertrophy and strength increases[25,26] – so be careful! With that said, 100mg doesn’t come close to the doses discussed in those studies. Fan of L-Tyrosine for focus? We hope so, because you’re about to get a near mega-dose of it!! Taurine is one of the most abundant amino acids in the body with large stores found in the muscles, brain, and heart. It draws water into the muscles, providing “water-based” pumps and helps with hydration. On top of that, since such a large amount reside in the brain, it should come as no surprise that taurine improves mental focus. For it’s final trick, taurine also works with BCAAs to reduce muscle soreness! This is a GREAT dose compared to the competition – even without the standard L-Tyrosine in the next ingredient! Wow! Talk about solid focus!!! As we just touched on, Tyrosine is a potent focus boosting ingredient, with NALT being the more readily absorbed variant. One thing we wonder is why include both forms of Tyrosine instead of just going with 1.5-2g of NALT? Likely a cost-cutting measure, but who cares — this is a massive overall dose!! Pre-Kaged, much like In-Kaged, uses PurCaf as it’s form of caffeine. This is a 90% organic pure caffeine extract derived from water-extracted green coffee beans. Natural caffeine will offer all the same energy-boosting and performance-enhancing qualities that other synthetic forms of the popular stim offer, but you can sleep better at night knowing your stim kick comes from non-GMO organically raised beans. So, to sum this label up: whoa. At first, the only flavor for Pre-Kaged is Fruit Punch and it will come in a 20-serving tub (very similar to Pre-Jym). However, in late 2016 / early 2017, the new Krisp Apple flavor hit the streets, and for being primarily stevia-based, it’s exceptional!! Looking for sick pumps like KG? One scoop of Pre-Kaged will take care of any and all pump enhancement you could want! No details on if additional flavors or serving sizes have been released yet. However, this is designed to stack with the other products in the Kaged Muscle line of products, In-Kaged and Re-Kaged. 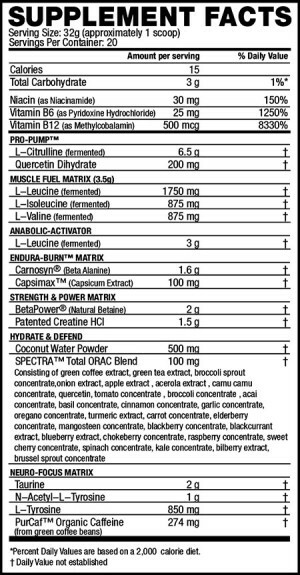 This should take care of any and all of our pre, intra, and post workout nutritional needs and hopefully give you the full efficacious doses of all the ergogenics included in Pre-Kaged. Kris Gethin and the Kaged Muscle line have finally unveiled their much anticipated pre workout. It should be hitting stores any time now and we can’t wait for the reviews to start pouring in. The bodybuilding community at large seems very pleased with the profile and eager to try it out. Once it lands, we’ll keep an ear open to the public feedback and see if it lives up to expectations! No Comments | Posted in New Brands, New Products, Supplement News | Tagged BCAA, Beta Alanine, Betaine, Caffeine, Capsimax, Coconut Water, Creatine HCl, Isoleucine, Kris Gethin, L-Citrulline, L-Tyrosine, Leucine, N-Acetyl L-Tyrosine, Pre Workout, Pre Workout Supplements, Quercetin, SPECTRA, Taurine, Valine.